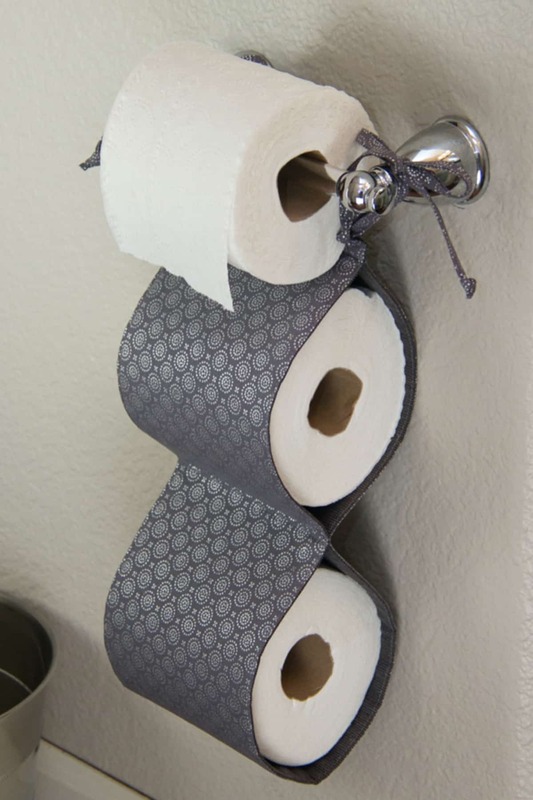 Creative storage space will make toilet paper more interesting. 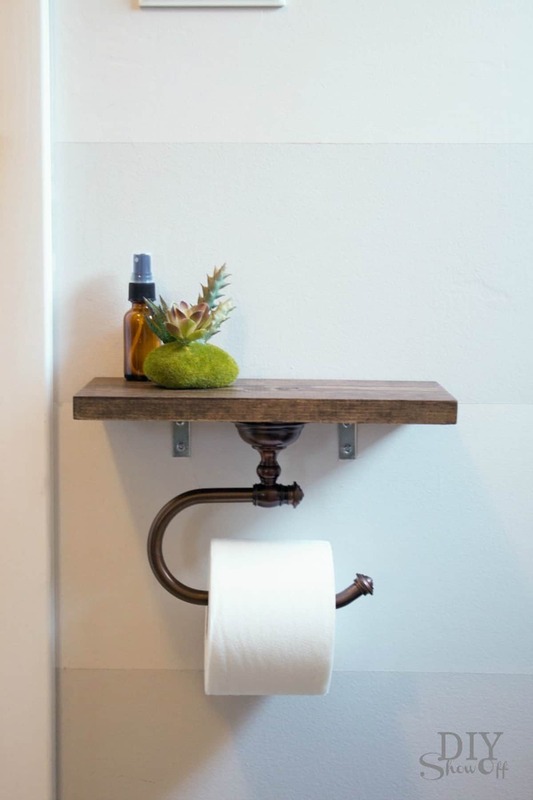 DIY toilet paper holder adds personality in your bathroom, and you can make it from anything. You can also use existing bathroom features. 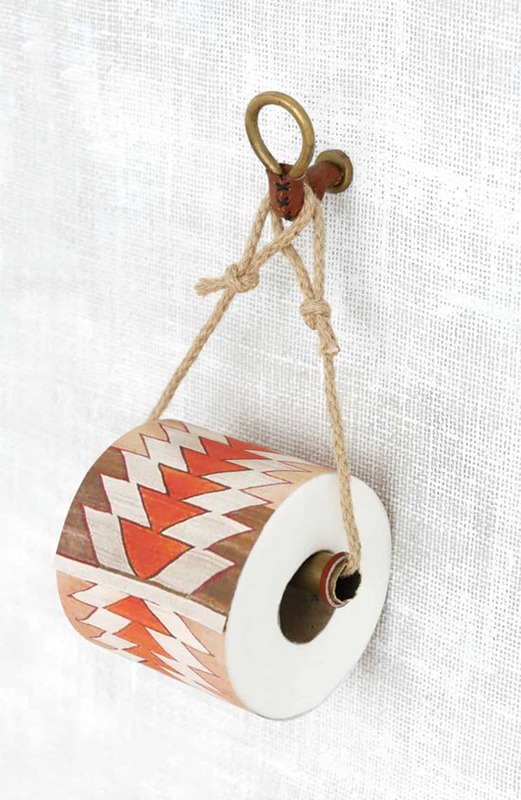 From rustic recycled materials to smart storage space, here are 20 great ideas to keep your toilet paper. 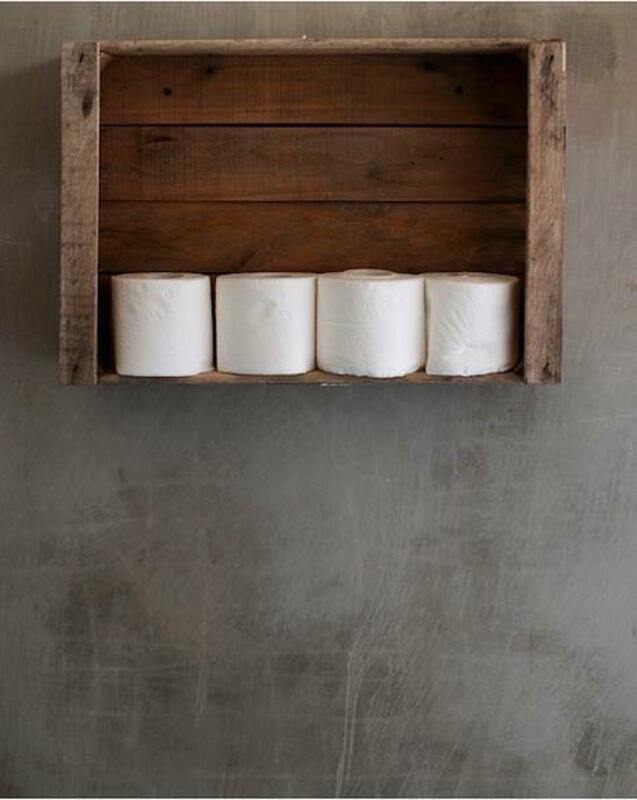 This cheap toilet paper holder was made of a recycled wooden crate. The box was cut and adjusted a little, but the distressed wood look was left deliberately. It gives great contrast with smoother surrounding texture, such as this concrete wall. 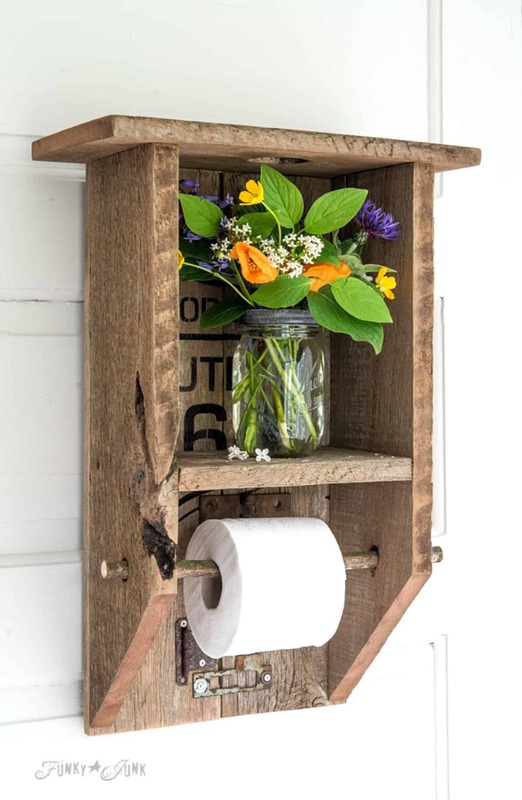 Make your toilet paper holder more interesting by adding flowers. This wooden toilet paper holder has extra space above the roll for flowers in a glass jar. Recycled wooden material gives this holder character, especially with the painted number that is not covered. This shabby chic rack has an additional function as a toilet paper holder. The distressed wood look and light blue paint make the regular bathroom more cheerful. 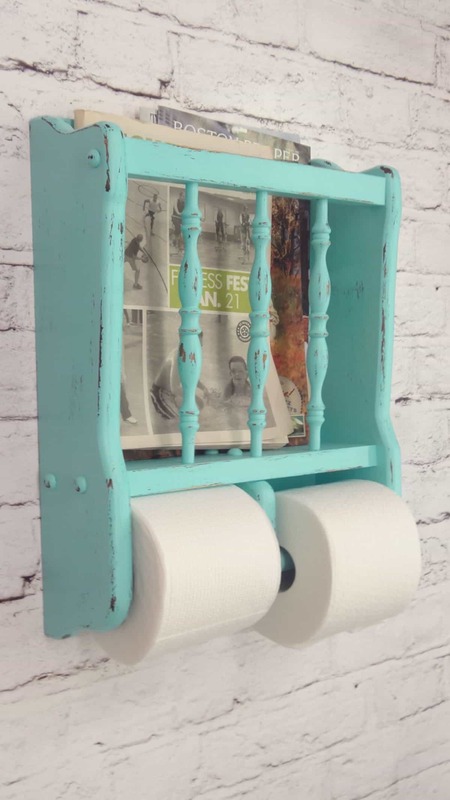 The rack holds old magazines you can read in the toilet, and the holder accommodates two toilet paper rolls. 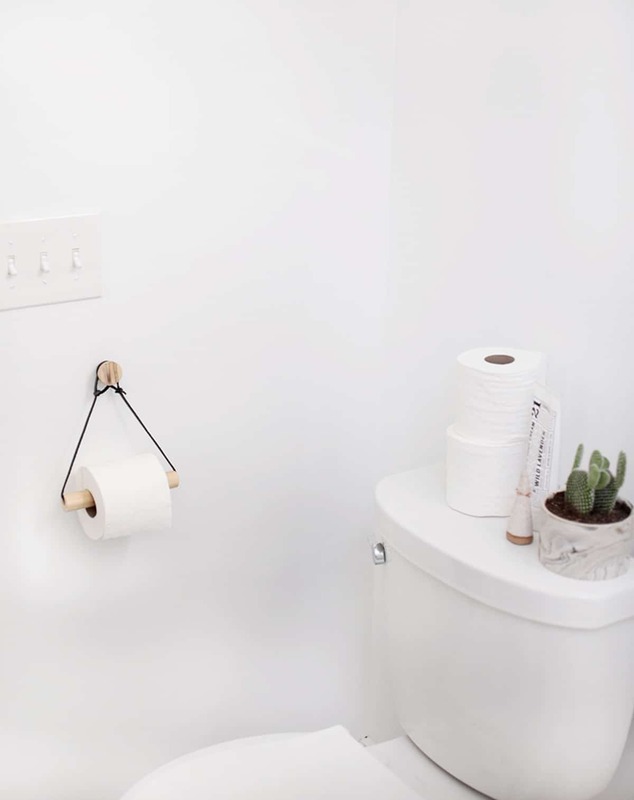 This toilet paper holder was created from a short pipe, drawer pull, and rope. All you need to do is attaching the hook to the wall and loop the rope in certain ways. The method is so simple, you can experiment with different materials. This toilet paper holder was built into the wall, perfect for small space. The holder was attached to unseen wooden panels on each side, before painted. The shelf-like design accommodates one roll holder and extra space for supplies. 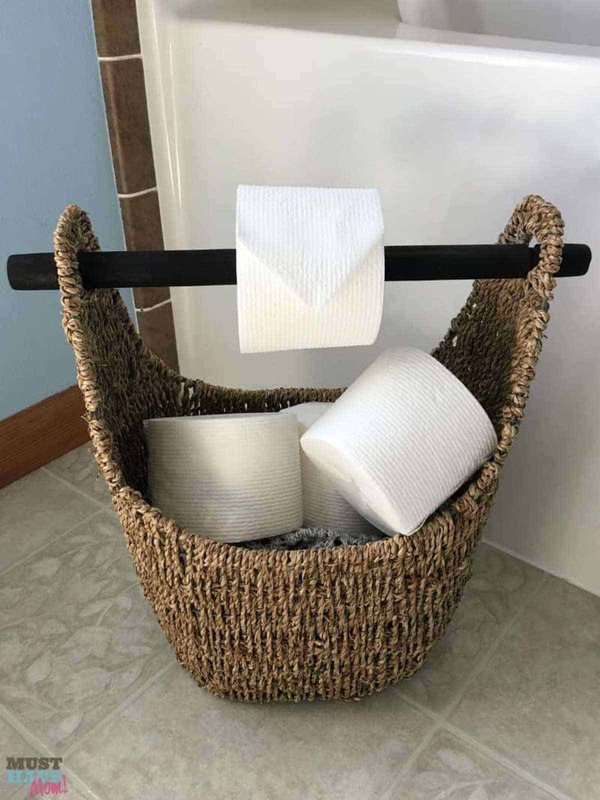 This toilet paper stand consists of a roll on top, and extra space to pile toilet paper supplies under it. You can make it from recycled or scrap wood, with very simple design variations. The top part offers extra surface to place a mini plant. This pipe toilet paper holder has a strong “personality”, perfect for giving your bathroom a character. You can make it easily with a regular pipe, fitting features, and spray paint. The structure helps you screw and unscrew the pipe when you need to insert a new roll. 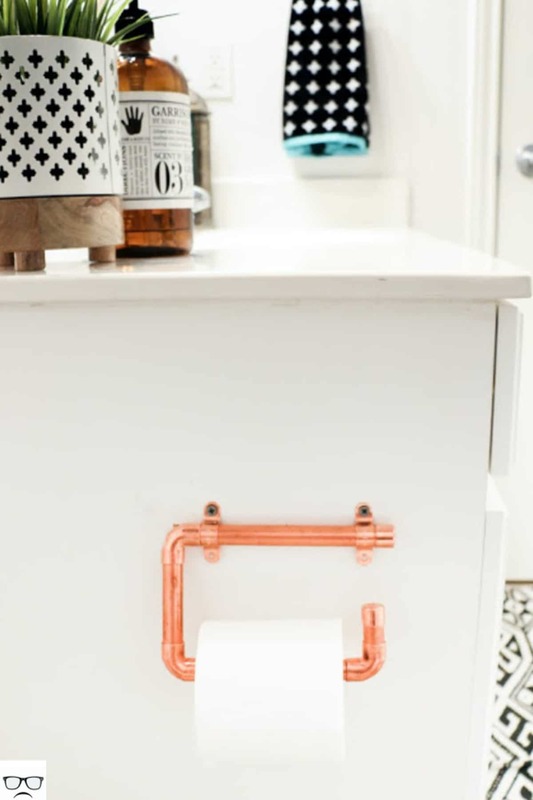 This copper holder creates a great look in a white bathroom. You can fit the pipes using regular wall clamps. Let one side open so you can insert a new toilet paper roll. Copper also adds a great look in a vintage or Bohemian bathroom. 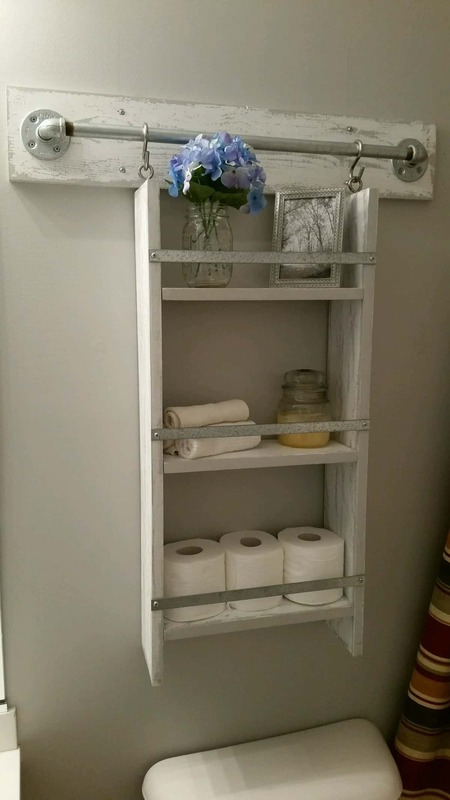 This toilet paper holder with shelf provides a perfect organizer shelf on the wall. 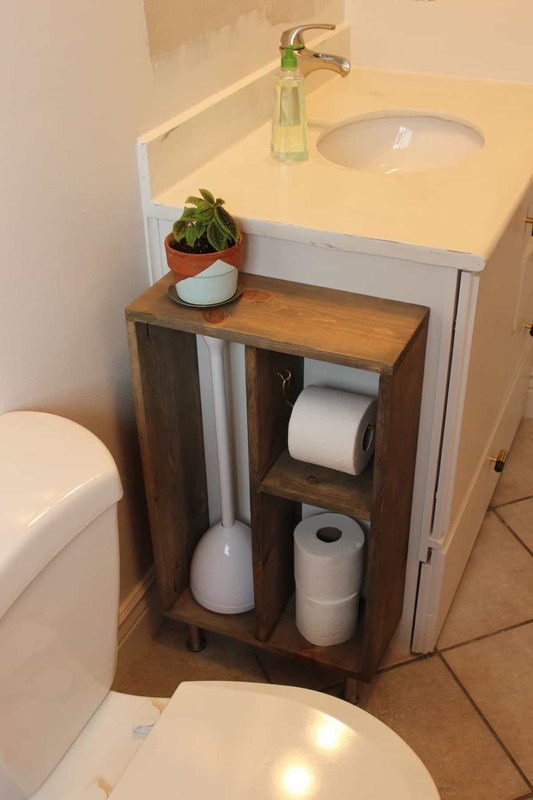 The simple design provides enough space to keep bathroom supplies, flowers, simple decoration, and toilet paper stocks. 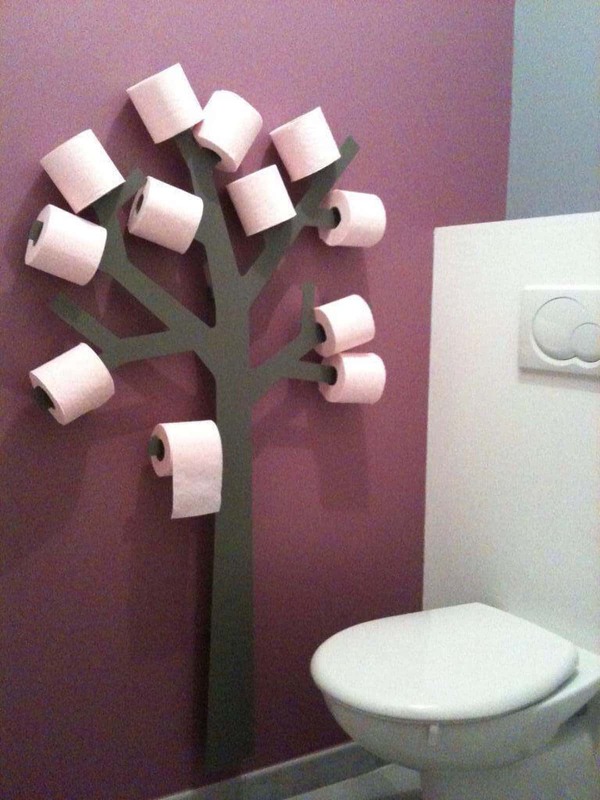 This lacquered metal tree has multiple branches to hang toilet paper rolls. 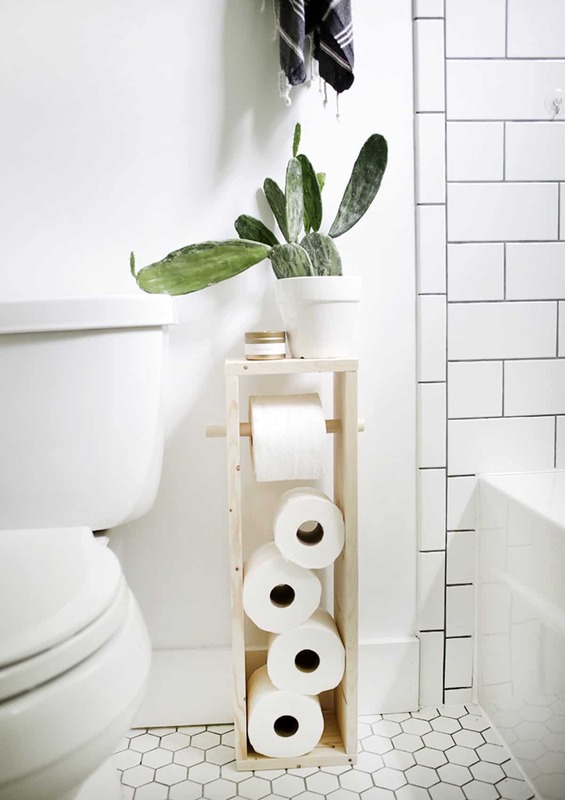 You can keep your supplies, provide a roll in an accessible way, and decorate your bathroom. This holder is store-bought, but you can make something similar to your own style. 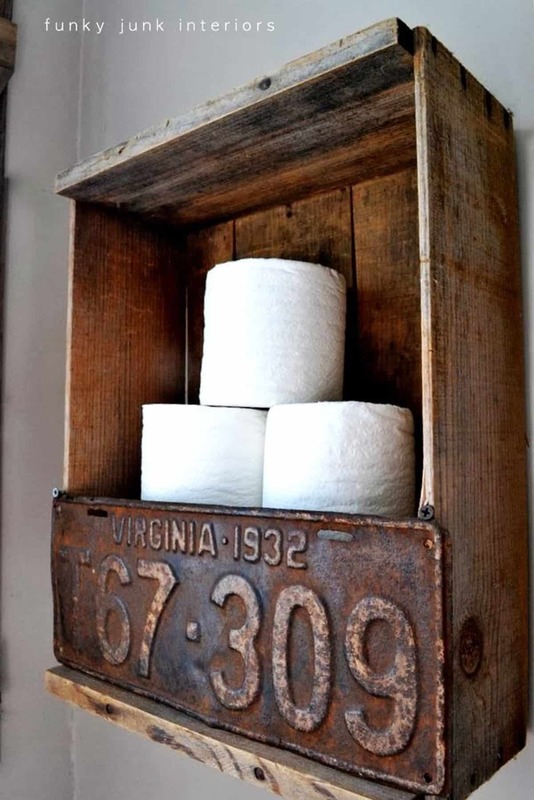 This rustic toilet paper holder has a simple design, made of recycled wooden panels. However, the “wall” was created from an old license plate. The overall look is unique, with a strong character that comes from the plate. This DIY holder took a simple design concept. The triangular shape was made from a wooden door knob, leather strap, and a wooden peg. You can tie the strap in a certain way so inserting new roll becomes easier. This design is perfect for any bathroom, and it does not take up much space. 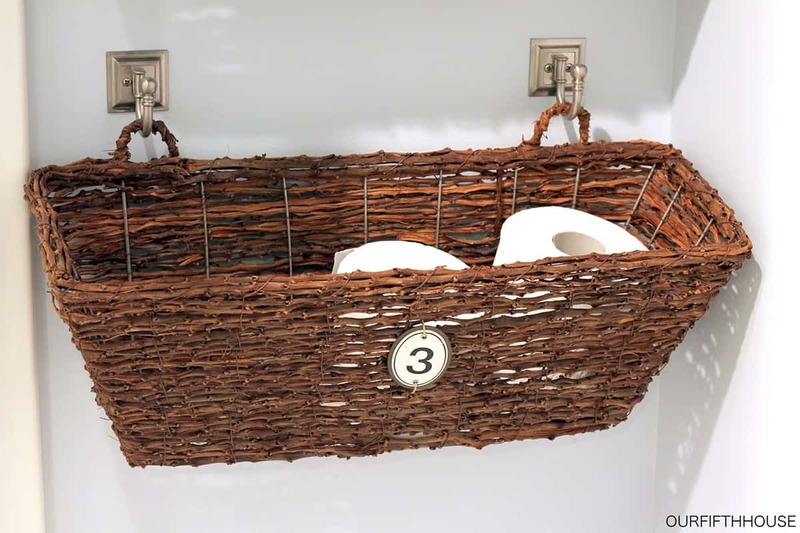 Toilet paper baskets have double functions as storage space and holder. This basket, for example, has raised sides with two holes on the handles. 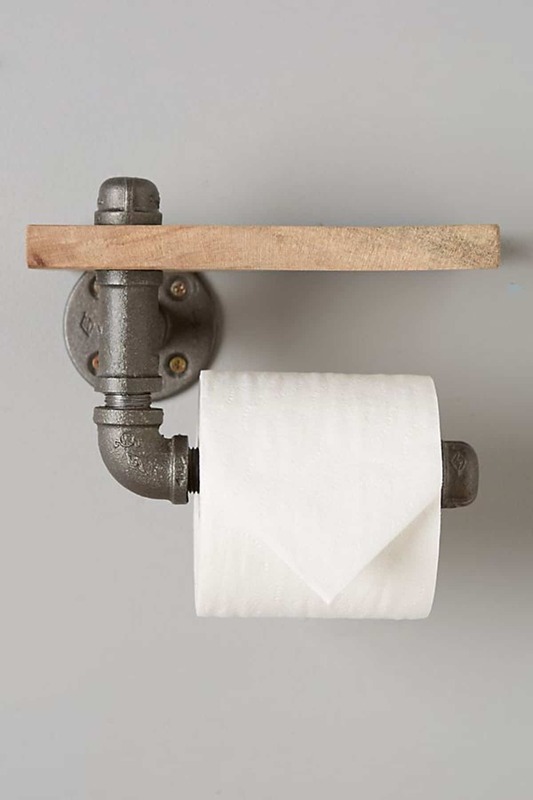 A bar or pipe can be inserted to hold a toilet paper. The basket itself is perfect for storing your roll supplies. 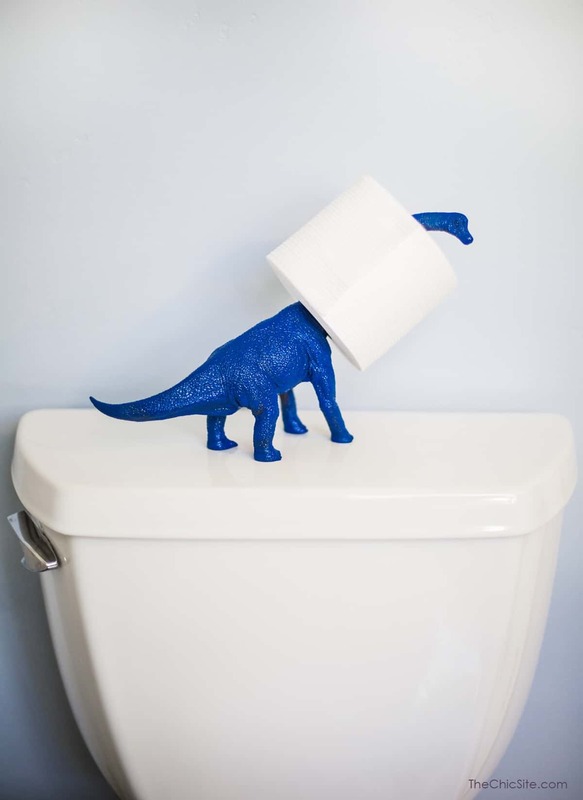 Repurpose an unused dinosaur toy into a toilet paper holder. This holder is a long-necked dinosaur with heavy material, which will not topple when the roll is inserted. The dinosaur is placed on the top of the closet tank. This toilet paper holder was installed under a floating shelf. This is a practical design for the small bathroom. You can install the shelf to place bathroom supplies or simple decoration. 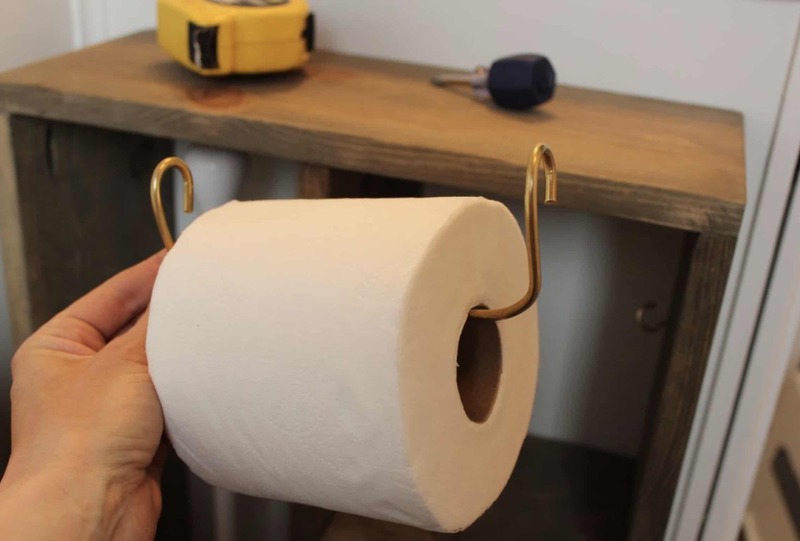 Add a simple toilet paper hook underneath. This toilet paper storage uses the narrow space between the closet and sink. The storage box was divided in the middle. The sectioned one is for toilet paper rolls, and the longer one is for the plunger. It is an efficient design to use a small, unused space. A low, woven box is perfect for storing toilet paper supplies. You can buy it in bulk and arrange the boxes in vertical line. Simple hooks attach the box to the wall. A numbered plate signifies the amounts of rolls you have. This toilet paper holder is simple, but it has two wide fabric rings underneath. The fabric rings serve as simple storage for roll supplies. You can choose specific colors and patterns for the fabric to match the bathroom. Cloud is a perfect shape to hold toilet paper rolls in piles. 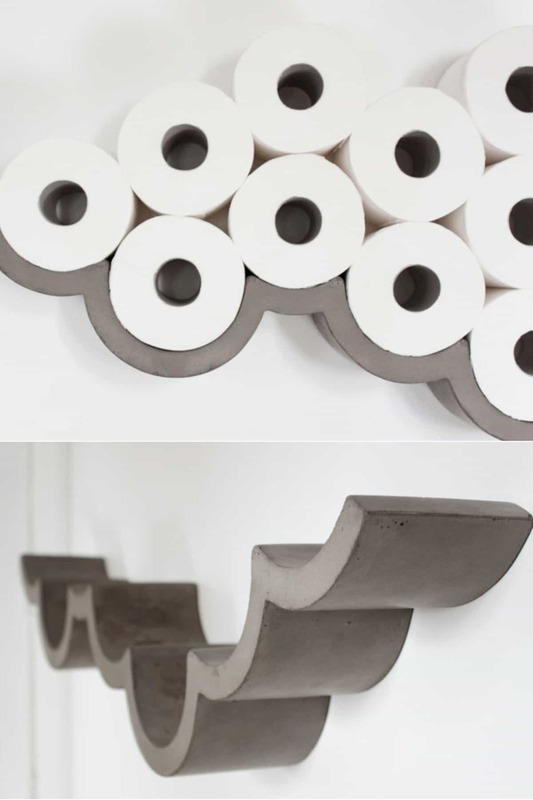 This concrete cloud toilet paper holder is simple, but you can place rolls on each of its crevices. You can also stack other rolls on top of each other. 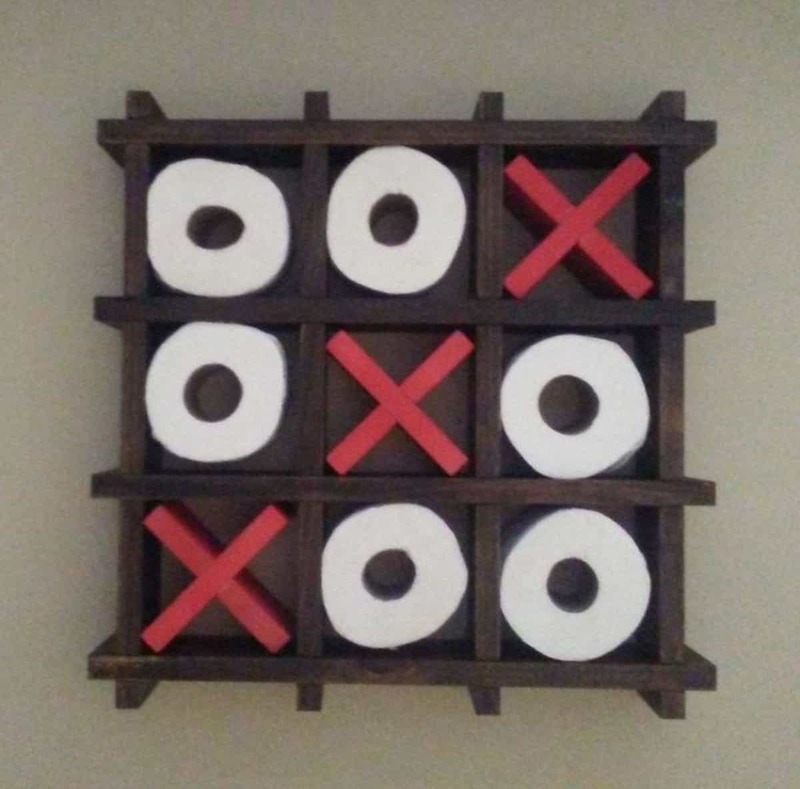 This toilet paper holder uses Tic Tac Toe as a creative design inspiration. Placing several red “X” on different boxes make the toilet paper shelf looks fun. Paint the shelf dark, so the toilet paper rolls and the “X” stand out. 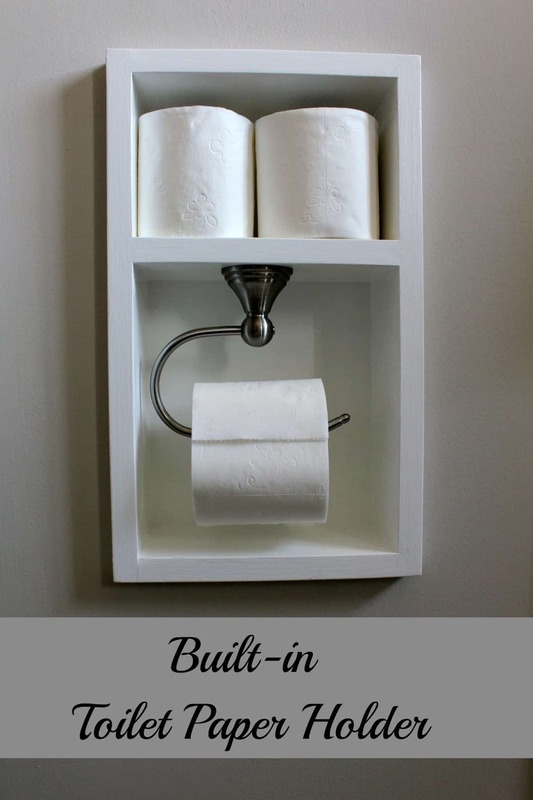 DIY toilet paper holder ideas are simple but interesting. Try one of these inspirations to spice up your bathroom or toilet.